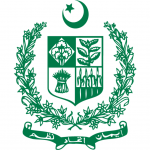 The emerging information and knowledge age and the accompanying technological revolution are heralding a new economic and social order characterized by the development and exploitation of information and communication technologies (ICT) within all spheres of human endeavor.The government of Pakistan has mandated that a certain percentage of gross revenue generated by all telecom service providers be allocated to development and research of information and communication technologies with the vision to transform Pakistan’s economy into a knowledge based economy by promoting efficient, sustainable and effective ICT initiatives through synergic development of industrial and academic resources. To achieve this vision National ICT R&D Fund has been created. Virtual B-RAS is intended to be a product for internet service providers. Besides the functionality of a traditional B-RAS, it will provide policy configuration and enforcement features in a virtualized tool for ISPs to provide value-added services to the end-users. The rapidly increasing need for internet bandwidth from consumers has resulted in an exponential growth in ISP core. The existing Broadband Remote Access Server (B-RAS) and supporting equipment are expensive and vendor-locked. Hence to scale the ISP network, capital and operational expenses are high. Moreover, the current licensing cost to block unwanted/inappropriate websites and web services is high. This project aims to develop a low-cost, virtualized software solution (virtual B-RAS) that will run on generic x86 servers instead of vendor-specific hardware. It will allow ISPs to reduce their capital and operational expenses, and enable administrators to execute and enforce custom policies in the ISP network. The built-in software-based deep-packet inspection (DPI) with enhanced packet processing capabilities will enable ISPs to block/unblock inappropriate web services at a low cost while maintaining high performance. DPI makes it possible to identify data for specific web services at the application level. This product, therefore, will also allow ISPs to define and execute application-specific policies in the core network. This product will directly benefit and facilitate Internet Service providers in Pakistan who contribute to ICTR&D Fund. They will have access to locally developed technology which reduces their costs and resolves the vendor lock-in issues. Progress: Testing is being done at one of our partner ISP site, as we build the product.